Cracks? Heck, No. Those are Character Lines! When I was 9 years old, my parents very unexpectedly had a fourth child. She was a delightful little girl and she was the straw that broke the camel’s back in our two bedroom, one bath bungalow. So Mother and Daddy bought a larger home in the same neighborhood. Shortly after we moved in, I remember helping my mother “glue the chimney back to the house.” Yes, she actually used some sort of really strong tape/creamy substance to seal a very large crack between the real plaster living room wall and the chimney chase. And when the house was sold about 15 years later, that repair was still intact. 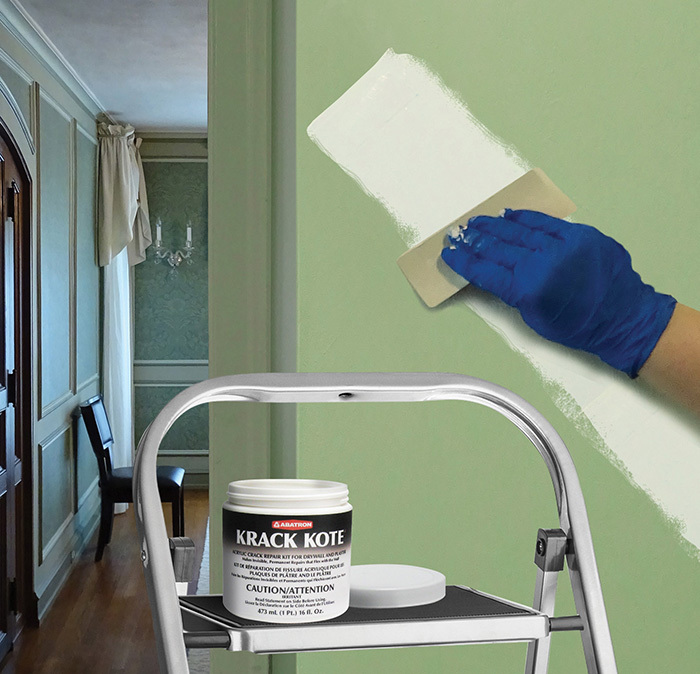 Because we here in Montgomery are blessed with “prairie soil,” plaster cracks are a constant issue and a frequent topic of conversation among old house neighbors. Yet I really didn’t think much about that product until I began my real estate career. Then it became essential to solve the problem of plaster cracking not only for myself but for all my clients. Mother was still living (miss her still 20 years later!) and remembered the product’s name: Krack Kote. If you are a past client of ours, you’ve probably been introduced to this “eighth wonder of the world,” and even perhaps gifted with a starter kit and instructed to “patch and paint” before putting your home up for sale. Sadly, some years ago we learned that Krack Kote, which we mail-ordered from the manufacturer, was no more. Why, I wondered, had D.W. Moody Hardware not sold the stuff in 5 gallon buckets? And why in the world would such a miraculous fix-it product be allowed to disappear? This past holiday weekend I was relaxing on the patio and reading one of my favorite magazines, Old House Journal. Even the ads. I read the ads because they often offer products obscure enough that they never get very wide promotion or distribution. And there it was: Krack Kote was back! I actually let out a whoop for joy. A reviewer online complained that the starter kit, ordered from Amazon, was not really enough to get his job done. 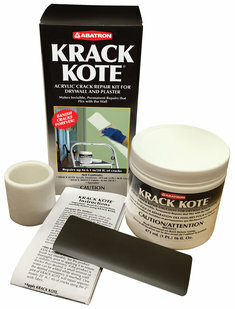 Thankfully, I further discovered online that the product’s new owner, Abatron (http://www.abatron.com/shop-online/krack-kote.html) sells it in gallon buckets.